Take a subject like accident prevention and management and turn it into fun! The PADI Rescue Diver programme does just that by introducing new topics and expanding on existing skills in an enjoyable way. 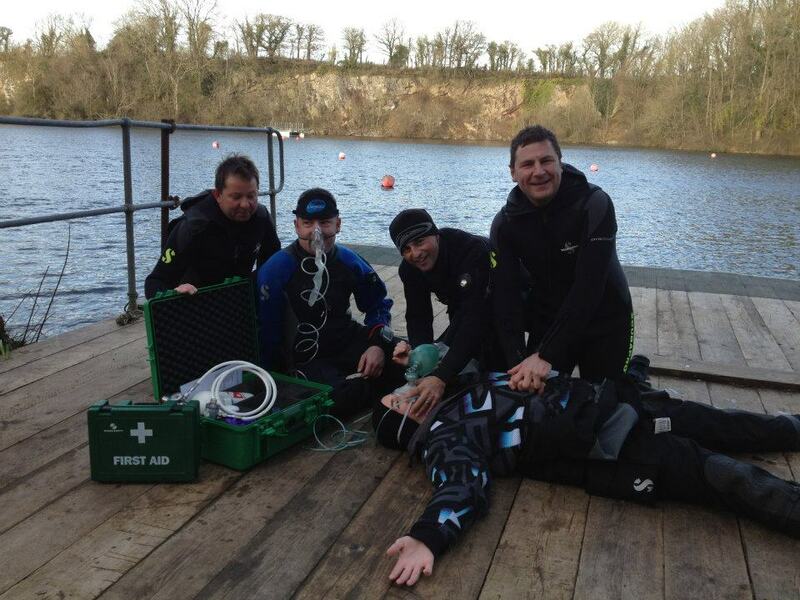 The end result is a diver with the knowledge and confidence to help others in distress. We firmly believe that the rescue course is probably the most important (and incidentally the most fun) course in the entire PADI programme and we are proud of our commitment and expertise in this area of training. The Rescue Diver course is designed to introduce topics and skills progressively. Your abilities are assessed throughout the course and culminate in your involvement in various accident scenarios at the end of the programme in which you put all your newly acquired skills into practice. Note that a first aid qualification is required to attend this programme. Go to our EFR course pagefor details. This two day course costs £300 which is an all inclusive of manuals, certification, equipment. Dive site entrance fees to be paid on the day. Packaged with the EFR course the cost is £370.